Earlier today, a recently-published patent filing in the US provided a glimpse at how Apple could improve the experience of wearing headphones. But now two new filings have popped up which point towards the future use of ultrasound technology in its devices. Starting off with smartphone and tablet displays, it seems Apple is looking into adding ultrasonic technology to its panels eventually in the hope of improving sensitivity. This would be achieved by placing multiple layers on top of an acoustic touch panel. For those unaware, this type of panel uses transducers to transmit ultrasonic waves along a surface. Then, these are examined by a number of sensors that can determine the positioning of size and objects. Also, by employing more than one layer, these sensors may also be capable of calculating the pressure that is being applied, thus essentially acting as a 3D Touch replacement. 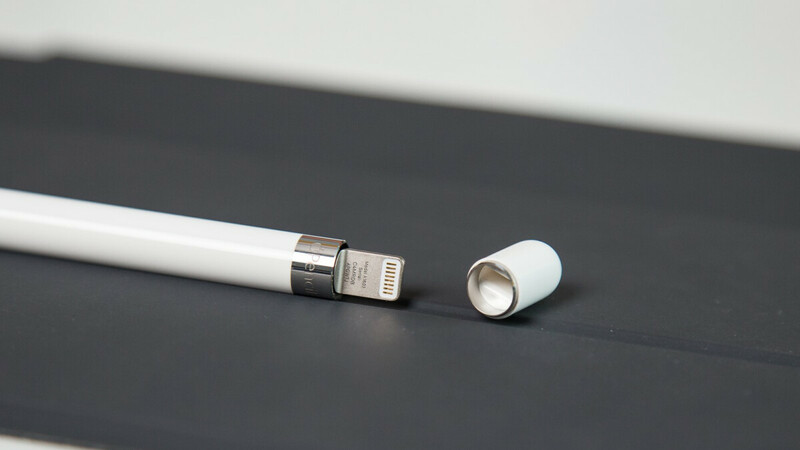 Alongside the smartphone displays, this technology could also be used to improve the accuracy of the Apple Pencil. In this case, the stylus itself would be covered in multiple sensors that would allow it to detect how the user is gripping it. It’s unclear at this point what exact benefits this would bring, although one option could allow users to switch the type or the thickness of strokes by simply modifying the grip. As this is still only a patent, there is no guarantee that Apple will add the technology to its devices. However, when the two implementations are combined together, the overall improvements to the accuracy and usefulness of the Apple Pencil could be improved drastically. Include split screen, so I can give myself an ultrasound, and watch YouTube at the same tine. Qualcomm first showed an ultrasound finger print scanner back in 2015. Then it was updated in 2016, 2017, and 2018. In any case this is better than face ID or regular finger print scanners. Well that is if it's similar to Qualcomm's. Is there a mass produced device today that has a an ultrasound fingerprint scannner that I can try and compare to Face ID? I’ve been to Best Buy to check out new devises - nothing works better than Face ID. Explain to me how is it better? Have I used it? Well Qualcomms is better because it's more secure than Face ID. Because all current finger print scanners scan in 2D, or just the layout of your finger print. The ultrasonic scanner from Qualcomm scans in 3D. So even parts of the inside of your finger are scanned. So that cannot be copied like a plain finger print can. Huge difference. You ever heard of “the best camera is the one you have in your hand”? I’m looking for reliability, speed, versatility, and 3rd party integration. No one offers that better than apples Face ID. If I can’t buy a device with ultrasonic scanner what good is all that jabber you posted above. I can say that a flying car concept being developed in the back of a garage shop is better than your Car because it flies. What’s the point if I can’t have it. I need a phone now, I need quick access to my phone 100 times a day, and I need it to be reliable. I don’t need some snot concept that’s gonna be available tomorrow - I need it now. The correct quote is "The best camera is the one you have with you." And current FPscanner is already better than FaceID. Reliability:https://www.usatoday.com/story/tech/talkingtech/2017/10/31/iphone-x-faceid-not-100-reliable-critics-say/817478001/ Speed: it's the slowest biometric authentication available on any flagships right now. Versatility: see that article on reliability above 3rd party integration: it's just as few as other biometric authentication on other phones Unlike flying cars, you know this Ultrasonic FPscanner will come really soon, and this new FPscanner will be better than the normal FPscanner. Why did you get salty like that? did the slow and unreliable faceID drain your patience? Using Face ID with with aweareness setting off - just as fast as FP scanner and I never have to worry about wet, dirty, or sweaty fingers - that's a huge plus when you work in construction. Atechguy claimed it was better - i havent seen a device to compare it... that's what I'm getting at. And i did have FP and iris on samsung - it is not as integraded as Touch ID or Face ID is on iOS especially with third party apps..
Don't you know sgod by now? For him everything that Apple does is bad. Dude, have you actually read the article? Almost every reviewer is saying that face id is good (at least just as good as a fp scanner), reliable (it even identified identical twins) and versatile (works with glasses, at night etc). It is a bit slower than touch ID but I believe it to be equally faster than a phone with the dumbest placi g of the sensor: on the back.